Munchy Crunchy Apples are falling from the trees! Let’s count how many apples have fallen! 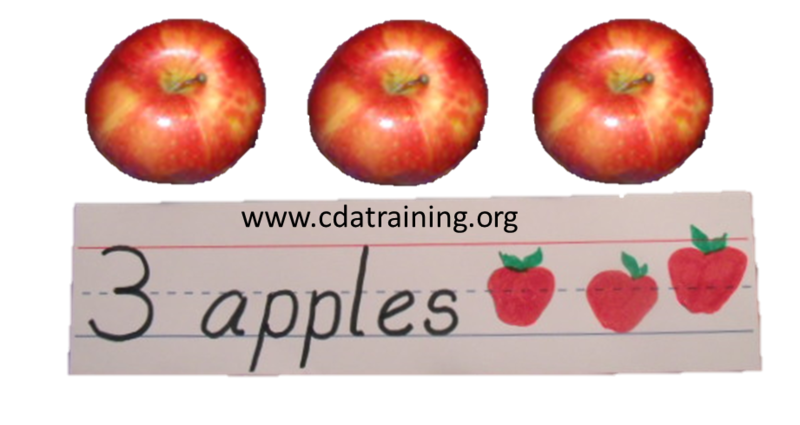 Materials needed: sentence strips, apples, and two baskets. Directions: On the sentence strips write the numbers 1 – 10 and the word apple(s)s. Put little apple stickers (or draw them) on each card according to the number written. Put them in a basket. In another basket place 10 small apples. Instructions: Have the child pick a card and place it on the table. 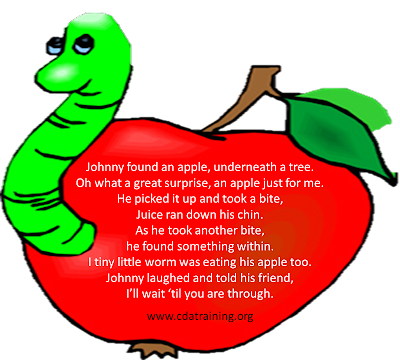 Then have the child count out the correct number of apples.